Both Eduardo and I are from the Dominican Republic. It's cumbersome to send money to family and friends in our home country. The banking and remittances systems take a couple of days, and charge anywhere from 6 to 12% in transfer fees. Transfer of digital currency is already possible via multiple distributed ledger networks, but it requires certain knowledge: how to setup a wallet, how to properly manage private keys, keeping mnemonic recovery seeds secure, understanding what gas is, etc. The app allows folks that are not tech-savvy to receive stable funds in a straightforward and easy way. Sender. This person knows how to use Ethereum and Metamask. 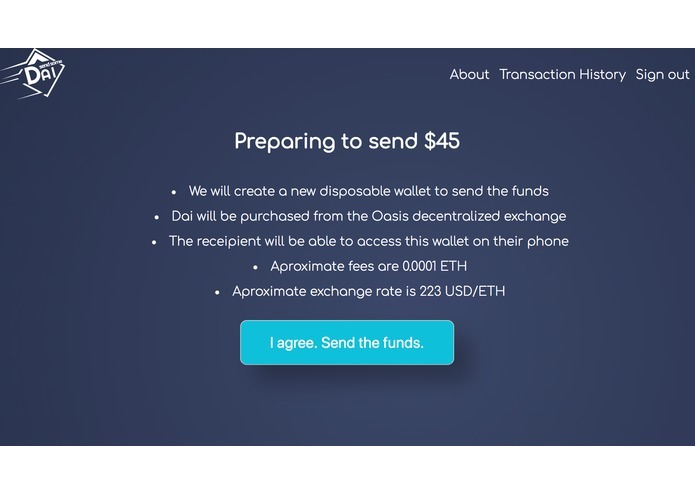 Can interact with our dApp that exchanges ETH for Dai, and generates a disposable wallet for sending the funds. Receiver. Does not know about ETH/Crypto. 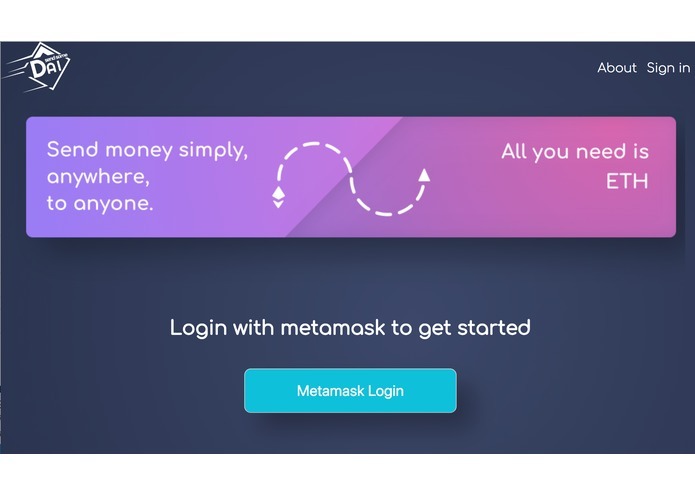 Receives a link that redirects them to a mobile app with a one-time use wallet. 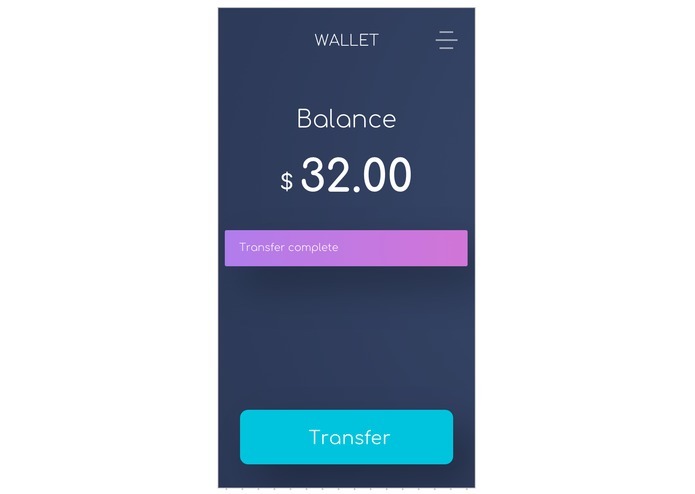 The app is very simple, only shows the balance sent, and a transfer button. Local Exchange Community. Practically every major city has a local cryptocurrency trading community. These are also tech-savvy folks that will exchange stable coins for actual fiat. Probably earning a small 1-2% commision on the exchange rate from USD/Pesos. We had a few ideas we discussed. Ended up going for SendDai because it was doable within the weekend. We wrote down the idea on Friday night, and sent an e-mail to Andy with the outline so he could start thinking about the interface. 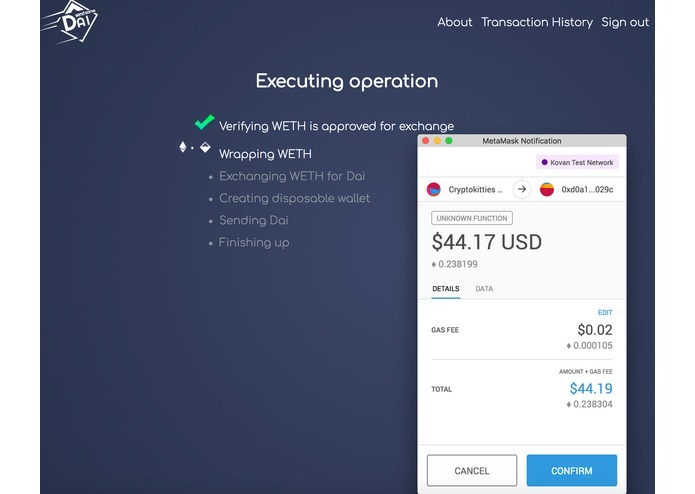 Stuff we worked on next: -- Logging in via Metamask instead of username and password -- How to convert the Dai, would we need to create CDPs? 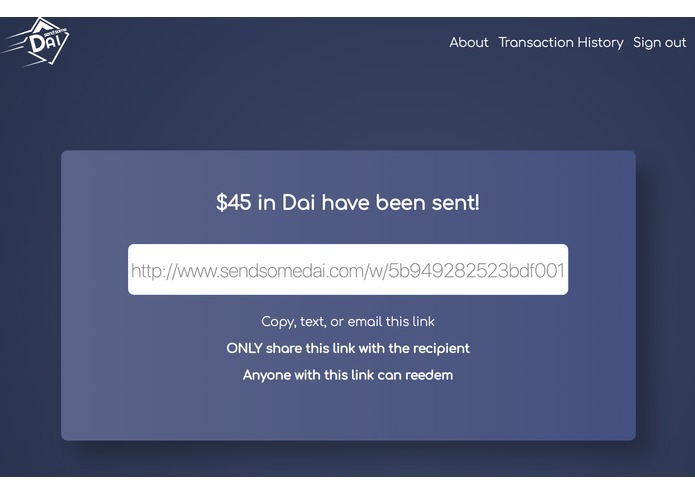 or simply buy Dai from the market? 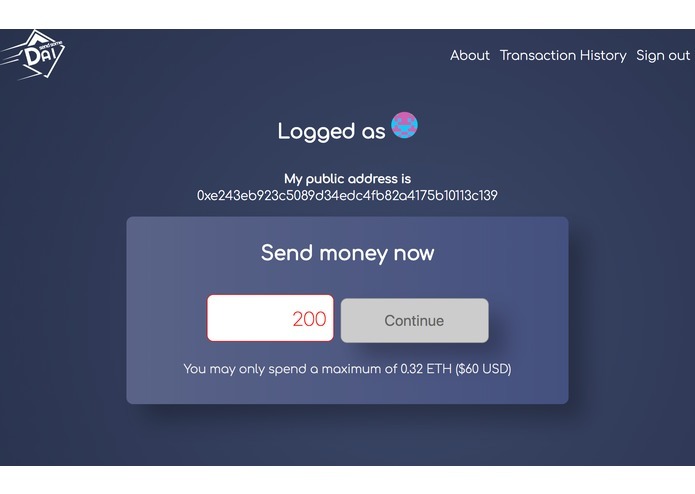 -- How to keep state in the whole app -- How to execute all transactions (dai wrap, allowance, conversion, wallet creation, and transfer) with good UX? What happens when the operation is not atomic. i.e. one of the 4 transactions fail. How does the UX communicate to the customer? DEX APIs. We tried different APIs from RadarRelay, TheOcean, and the base 0xConnect library, but settled for placing the order directly on the Oasis. Gas prices. 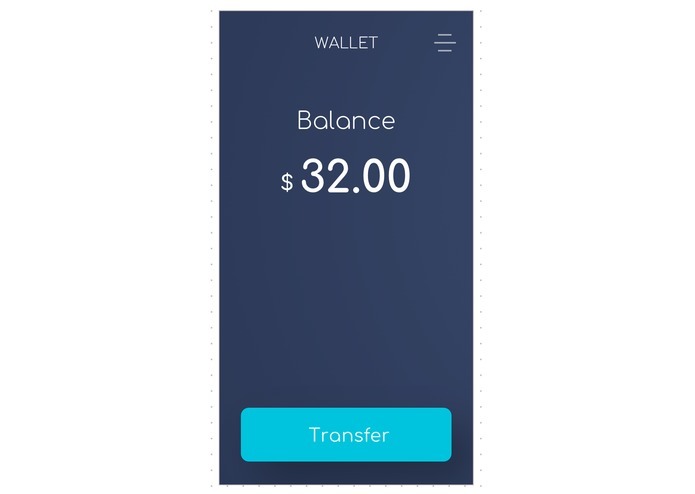 If gas fees get too high, using our app is no better than using a traditional bank, at least in terms of fees paid to move the money. Mobile application. We ran out of time. We made friends at the hackathon. Found other folks that had the same problems as we did related to scope. Next hackathon will spend more time team building before starting to code. Eduardo learned about web3 and interacting with smart contracts. One thing we hadn't thought about was the fact that the receiver also needs to receive a little bit of ETH so that they can later move the funds when exchanging. We need to figure out an efficient way to both transfer dai and a bit of ether without incurring in large fees. If that proves to be useful then we'll announce the project and attempt to get community support for improving it. That said, the code is currently on Github with an open source license, and anyone can use it if they wish.